Offering 250 years of York firefighting history in historic firehouse. Housed in 1903 Royal Fire Station. Apparatus dating from 1850s through 1950s and many other exciting fire-related artifacts. Museum features the original horse stalls and doors from the turn of the century. Museum open Apr. - Dec. on Saturdays from 10:00 a.m. - 4:00 p.m.
General Information: Dates Closed: Sunday - Friday, Hours: 10 a.m. - 4 p.m.
York County Fire Museum. 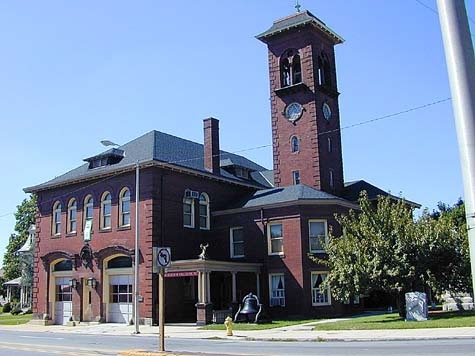 The Fire Museum of York County preserves the heritage of over 250 years of firefighting through displays and exhibits. Located in a turn-of-the-century firehouse.